What Is a Thesis in an Essay? Check It Out! In academic writing, almost every paper should entail a solid and concise thesis statement. It usually takes 1-2 sentences and reflects the main point of discussion as well as clearly presents the purpose of writing. 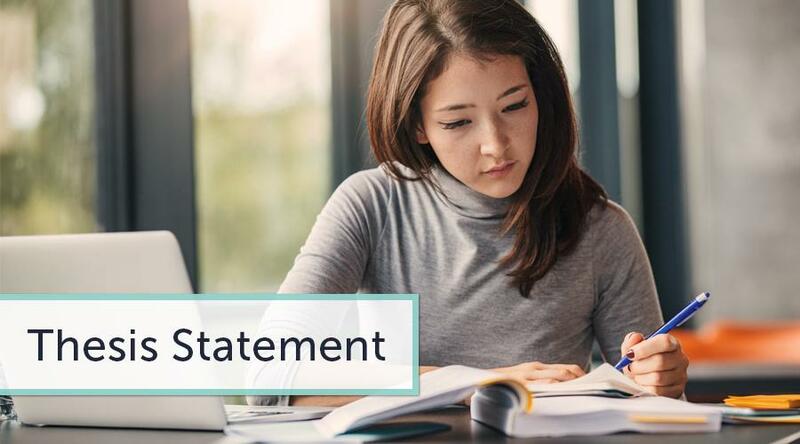 If you question yourself 'what is a thesis statement in an essay' you should understand that it is the key to success in essay writing. If you strive to get the best grades in any subject, it is of primary importance to learn how to compose a thesis statement writing. If you do not know how to write a thesis for an essay, begin with exploring the depth of the subject. You should double check the task file and make sure you understand the topic. If the focus is too broad, it should be narrowed down to one specific research question. Do not think that discussing a couple of points in your essay is a good idea. It is preferable to choose one specific topic and explore it from different perspectives. Read your topic a couple of times and create a question that will pertain to it. The answer to this question can be your future thesis statement. Do not create a very long thesis statement with many details, which will confuse the reader. Writing a thesis should not be compared with writing a paragraph and, obviously, you cannot squeeze all your opinions in one sentence. Now it's time to check if your research thesis statement writing is successful or not. Evaluate every word from your thesis. Check your topic and think if the thesis statement reflects it. Your thesis should give readers a hint about the future paper structure. Follow a common structure of creating an introductory paragraph, meaning that a thesis of an essay should be placed in the end. The last sentence of the introduction usually creates a bridge between the topic and the arguments presented in the main body. Find a couple of useful hints that will help you avoid the most common mistakes in your essay writing. Your essay thesis should clearly reflect the purpose of writing. An extensive thesis with many details is inappropriate if you have to write a 1-2 page paper. Do not use a quotation directly in the thesis statement. Actually, introductory paragraphs should not include quotes as a part of your evidential support. They must be included in the main body. Do not forget that there should be no more than 10% of direct quotations. Do not use too elaborate and 'high' language. Your goal is not to surprise professor, but create a decent essay with a reasonable thesis statement. Be original in writing. Do not discuss a point of view that does not belong to you, especially if you disagree with it. Your professor definitely knows what has been already said by others. Using ideas of others in your paper can be considered as plagiarism, so be sure you properly present the in-text citations if you borrow any information from outside sources.